This report summarizes the state of investment activity in the Agricultural Industry. It will focus on trends relating to Sustainable Systems development, as well as new technology which might be applied to increase yield and/or quality of the food produced in the US. “Agriculture” is a widely defined industry. It spans from the mining industry through to the manufacturing sector, production, processing, and distribution networks which derive most of their gross receipts in support of, or in the process of growing food. 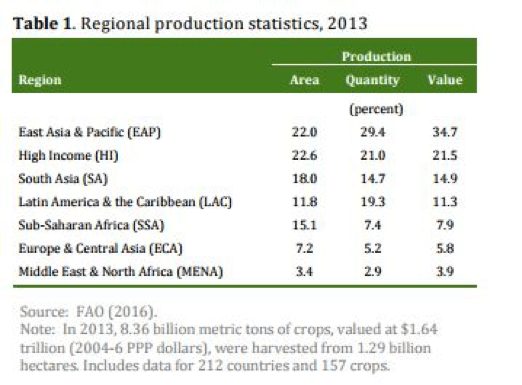 Domestic Production Systems in the U.S.
Agriculture in developing countries is considered a significant area of opportunity for investments in the Food and Agricultural Industry. For example, in Africa, Forbes reports: “Seventy percent of the world’s uncultivated arable land is on the continent, according to Sara Menker, the founder of Gro Intelligence, an agricultural data company with offices in New York City and Kenya.” The People’s Republic of China is actively buying up land on that continent in huge quantities. With the world’s population demanding we find more arable land, and/or significantly increase production per acre; regions like the African landscape could be a significant production source. In order to see those land investments come to fruition, there needs to be a significant increase in developing the infrastructure which is far behind the developed countries of Europe and North America. Since Europe is an important customer of African Agriculture, it would follow that as Africa attempts to develop its markets, it will need to adhere to the EU’s most stringent regulations relating to the reduction of chemical-based crop protection and fertilization materials. Investments in Sustainable Systems that incorporate new technologies in equipment and information management systems to support an efficient and viable Agriculture in Africa and other developing countries will be a significant area of opportunity in the near future. Many investors are viewing sub-Saharan Africa and other countries in the Equatorial belt as areas of opportunity. In this analysis, Sub-Saharan Africa accounted for 15.1 percent of the world’s total harvested area that same year, but only 7.9 percent of the total value of crop, a reflection of lower yields and lower valued crops. As technology and education comes to the region, the potential to significantly increase crop yields is significant. Production Agriculture systems in the US are undergoing change at this time. Over the next several years, we will see the divergence of ‘conventional’ agriculture and ‘organic’ agriculture become less divided. Technologies driven by minimizing Environmental impact and in support of sustainable systems will continue being developed. Certified Organic Farming will continue to mature as a sector of the food production landscape. According to the last Census of Agriculture (2012); Organic sales were growing in 2012, but still accounted for just 0.8 percent of the total value of U.S. agricultural production. Organic farmers reported $3.12 billion in sales in 2012, up from $1.7 billion in 2007. Look for both total sales and sales per farm to substantially increase in this category in 2017 as the USDA Certified Organic Program continues gaining numbers. Consumer demand for Certified Organic products has increased significantly over the past 5 years. 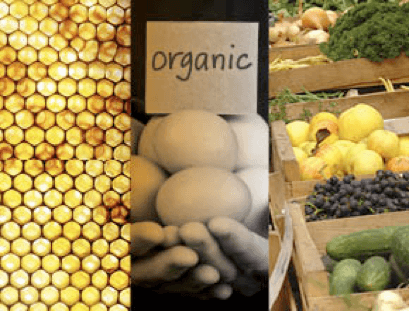 The number of large operations (greater than $1,000,000 in sales/year) converting to Organic is steadily increasing to meet that demand. Expect this sector to be a major portion of Agricultural marketings; policy direction; and research & development in the future. Virtually every sector in Agriculture will be affected from the supply side to equipment innovation and food processing. One of the key areas of investment happening in recent years relates to moving production closer to the consumer. With the advancements in lighting technologies and alternative energy sources, large investors are seeking out abandoned urban buildings and developing high tech systems located strategically so as to significantly reduce transportation costs. Concurrently, hydroponic, aeroponic, and related systems are evolving at a break neck pace to step up to the production level needed to make these systems profitable. The indoor farming sector has grown to $4 Billion per year in the US, and analysts predict it will continue growing at a 30% per year growth between 2015-2020. Companies like Whole Foods are investing heavily into this sector so as to bring their produce closer to the marketplace and help address the ‘food desert’ problems across our cities. 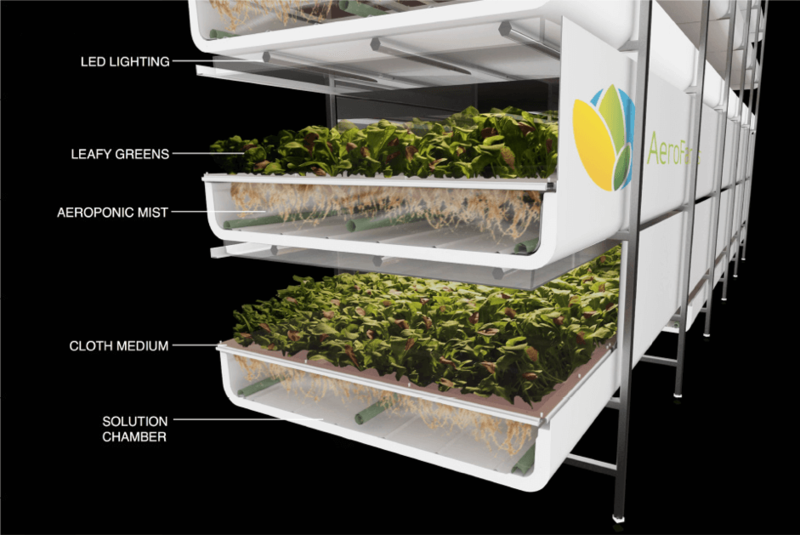 Privately held companies like AeroFarms, FarmedHere, and Green Sense Farms are all in the game, investing in systems development, operations, and marketing agreements so as to build off this emerging technology. Some publics include Urban Barns Foods Inc. (URBF) and Affinor Growers (RSSFF) (CSE:AFI), have early-stage operations, while mCig Inc. (OTC:MCIG) offers grow room design and consulting, yet there are no large and established pure-plays and only a handful of small start-ups that show promise. Expect this to change with franchising of the technology and engineering pieces being a big opportunity for investment. The Agri-Business infrastructure of suppliers, service providers, and manufacturers are actively expanding into making Precision Agriculture more ‘precise’. The utilization of drones, variable rate technology, GPS mapping, and related industries have evolved and continue to. This group of information management technologies will not only continue to grow in the US, but will be expanding to developing countries with the continuous expansion of digitized soil mapping in Africa and other target areas for agricultural development. The evolution of Genetic Engineering, Genetically Modified Organism technology, and other related seed technologies will continue to increase exponentially; though will be under greater scrutiny as we move forward. Aside from food safety concerns, the concern over a disrupted gene pool, crop resistance to protection materials, and other ecological bases for criticism; the evolution of the seed production industry is the subject of much public scrutiny, as they are aligned to chemical crop protection companies like Monsanto, Syngenta, and others. What is interesting about the GMO debate is that it isn’t so much the environmental concerns and food quality concerns, but a matter of economics. The Seed sector, once populated with several dozen major players developing their own lines of seed has been whittled down to a handful of companies marketing the majority of the seed; and owning the intellectual property and genetic rights to the seed itself. How the government handles that in the future will be of interest to the investor and the market (the farmer). Look for non-GMO companies to increase in the future to meet the increasing pressure on the farmer to market their product without the use of GMO seed or crops. Finally, in the area of Agri-Business and technologies, look for more investments in equipment that is geared to the Certified Organic Farmer. Of all the sectors of Production Agriculture, this group will make the biggest percentage jump when the numbers are in for the 2017 Census. Several of the ‘big ag’ companies of California, the South, and the Northwest are shifting a portion of their acreage to Organic to meet consumer demand; and along with this, there will be a high demand for field equipment technologies that enable the farmer to eliminate synthetic fertilizers and protectants, the most critical of which will be herbicides. Controlling weeds without them will require greater mechanization.